THE PENTAGON – The Navy’s next large surface combatant will have all the space, weight and power margins the sea service could need now and into the future to accommodate new weapons in development – but the director of surface warfare said the Navy would not accelerate weapons development to get them ready in time to outfit the new ships. Rear Adm. Ron Boxall, OPNAV N96, spoke to USNI News on Aug. 28, in his first interview on the Future Surface Combatant program since its initial capabilities document was signed out by leadership. Noting that the next large surface combatant would pull from some of the advances made with the Zumwalt-class destroyers (DDG-1000) – including potentially its integrated power system that could easily support laser guns, an electromagnetic railgun, powerful radars and other power-hungry technologies – Boxall told USNI News that the new large surface combatant represented an opportunity to put these technologies into the surface fleet whereas the legacy Arleigh Burke-class destroyers simply do not have the power and cooling capacity to do so. “We’re just excited that we think we do have something that is expandable, has SWaP-C (space, weight, power and cooling) for the future. I think all of us were kind of a little bit nervous about the DDG Flight III and whether we’ll have long-term ability to put future energy weapons on there, or the power that we need for directed energy, lasers, things like that,” he said. But just because the new ship will be able to support energy weapons doesn’t mean Boxall wants to accelerate energy weapons development to ensure they’re ready to field on the first new ships. He said moving to the Future Surface Combatant in 2023 is an “aggressive timeline” and that at some point the Navy will have to “snap the chalk line and say, this is what you have that’s good enough to go on there” – and if a technology isn’t ready, it would wait for fielding in a later block buy of the ship. With the Navy already seeking a new hull to better support the Aegis Combat System and the AN/SPY-6(V) Air and Missile Defense radar – collectively called the DDG-51 Flight III capability – Boxall said he didn’t want to force too many changes all at once. “So I’m inclined to say, as long as we build it modularly, we’re going to make those assessments in stride” in terms of inserting in new weapons as they come through the development process, he said. This situation bodes well for the laser gun, which is about to begin a second phase of at-sea testing aboard an amphibious ship but has not been able to be installed yet on a surface combatant. 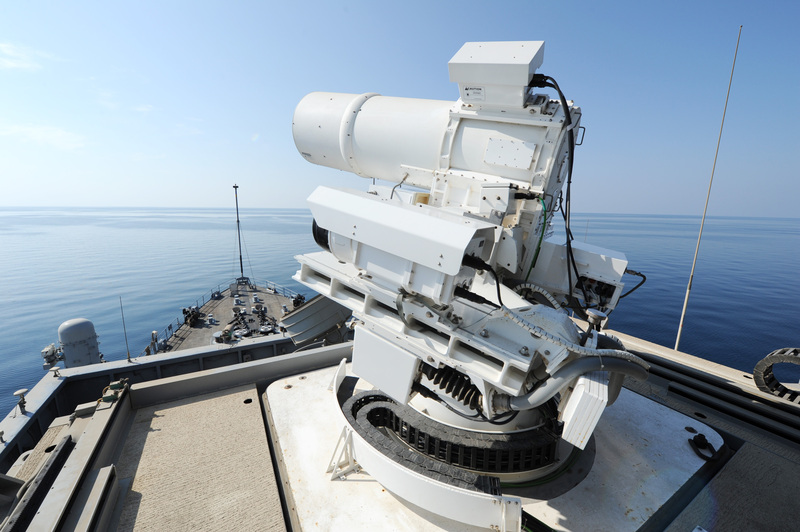 The first iteration of the Laser Weapon System (LaWS) spent three years aboard the former amphibious ship turned afloat forward staging base USS Ponce (AFSB(I)-15), being tested in the harsh and complex Persian Gulf maritime environment. When the Navy looked for a host for the next-generation LaWS, amphibious transport dock USS Portland (LPD-27) was chosen because it had the margins to support the laser gun that a destroyer simply didn’t. “A series of ship checks selected the LPD class over the Arleigh Burke-class destroyers (DDG-51) or amphibious assault ships after looking at cooling, power, air conditioning, space and weight margins and other factors,” USNI News reported when the Portland announcement was made. 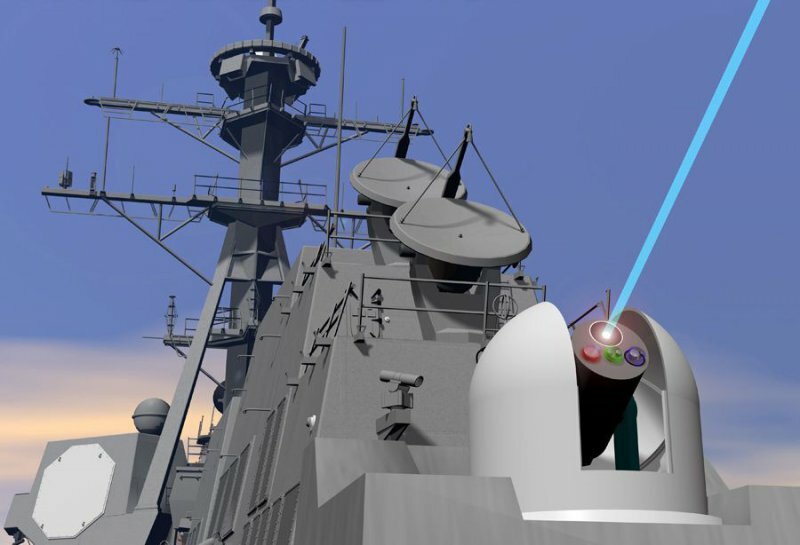 So for something like the laser gun, which has already gone through the shipboard integration process and proven it can be successful in a maritime environment, the new large surface combatant represents a great opportunity for the technology: the laser guns could get out to sea on more ships, and therefore gain more operational experience and more lessons learned to guide future development of the weapon. But for a program like the railgun, the Future Surface Combatant program may not do anything to spur its development. The Office of Naval Research began an Innovative Naval Prototype program for electromagnetic railgun technology in 2005, and in 2012 ONR began a second phase that focused on getting the railgun ready for operational use – specifically, demonstrating a 10-shots-per-minute firing rate. 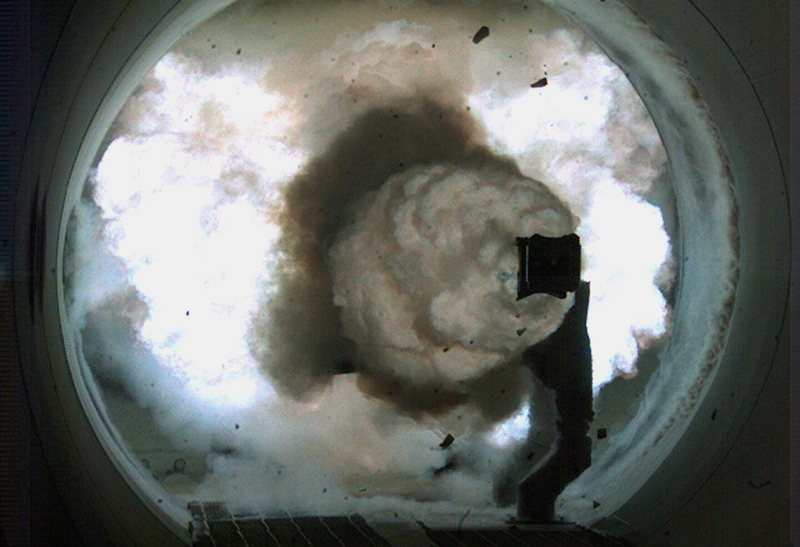 Though the INP spans until 2020, it covers only the science and technology development portion of the program and cannot conduct the shipboard integration piece – engineering a gun mount that connects to the ship and its combat system; engineering a battery or other power system to support the railgun if the ship cannot supply sufficient power on its own; and marinizing the system to withstand the saltwater, sand, wind and other conditions at sea. 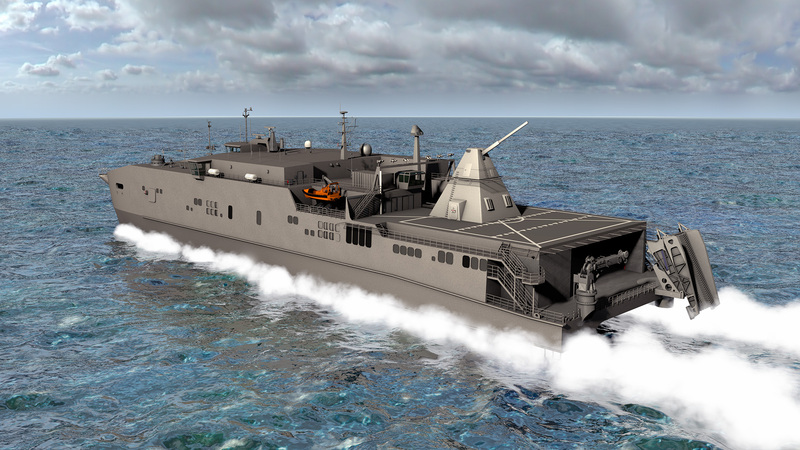 Several sources suggested to USNI News last year that railgun was struggling to gain support to make the transition from a research project to an acquisition program, and that if it were to get wrapped up in the Future Surface Combatant momentum then it may have an easier time getting funding for the gun mount and other integration efforts. The ONR INPs’ “goal is to develop and test a prototype railgun barrel that can fire a projectile with 32 megajoules muzzle energy, that has long bore life and is capable of being fired at 10 rounds per minute,” Boucher said. “Our current generation of Railgun launchers has already achieved our objective size and 32 MJ launch energy,” and the bore life is already looking better than conventional guns and is set for even better performance in the future thanks to ongoing work with advanced materials. ONR could not be reached this week to provide an update since the December 2017 comments Boucher provided. 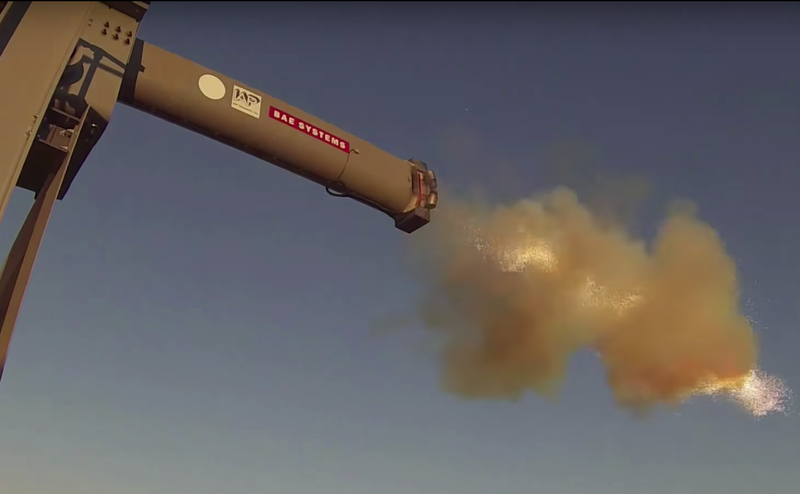 The Fiscal Year 2019 National Defense Authorization Act that was signed into law earlier this month added $20 million to the Navy budget to ” accelerate Navy railgun development and prototyping,” though it is unclear if this funding could cover any of the gun mount and integration work that ONR can’t do under the scope of its INP program. The congressional appropriators have not yet passed a 2019 spending plan, and that increase in railgun spending would not go into effect unless the appropriations bill also included the money. Though he said the Navy would not make a specific effort to accelerate railgun to match its development with that of the new surface combatant, he said the large surface combatant would be waiting for the railgun whenever it matures and is ready for shipboard operations.